Have you wondered how your agency could increase service provision for incarcerated survivors of sexual abuse? Do you have questions about what the VOCA rule change — which removed the prohibition on using VOCA funding to provide services for incarcerated survivors — means for your work? 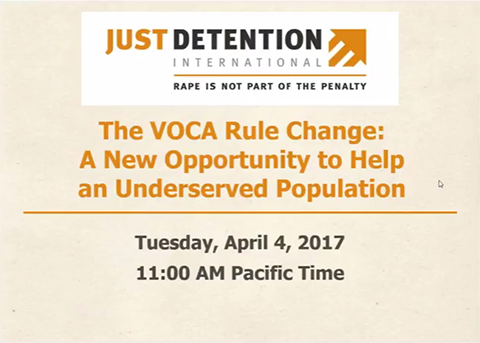 Understanding the VOCA Rule Change, a new webinar from Just Detention International, gives an overview of the rule change and its potential to expand meaningful services for incarcerated survivors. It also provides detailed guidance and resources for advocates, state coalitions, OVC funding administrators, and anyone who is embarking on corrections-community partnerships for the first time or seeking to ramp up existing services in detention settings. The webinar’s speakers include an OVC funding administrator who describes innovative options for increasing services for underserved survivors. 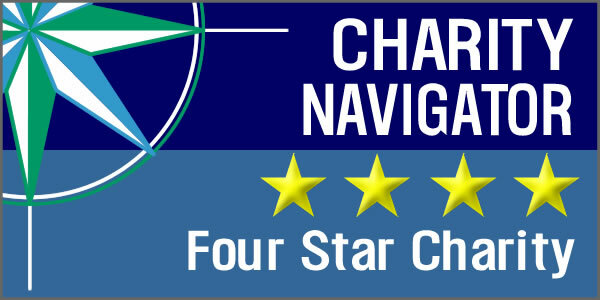 A question and answer segment will round out the discussion.